Saturday, March 12, 12–3 p.m.
Food will be provided, but if you like, bring a recipe or a dish to share! Public Engagement artists-in-residence Antena and Antena Los Ángeles, along with artists, organizers and restaurant workers from the Cocina Abierta collective and Restaurant Opportunities Center of Los Angeles (ROC-LA), invite Hammer visitors to share food, ideas, and conversation in a bilingual space. Visitors are invited to hear the stories of restaurant workers and afterward engage in bilingual dialogue over a family-style meal. Food will be provided, but feel free to bring a dish or recipe to share. The collected recipes will be made into a small DIY publication by Libros Antena Books and distributed to all participants. Antena and its sister collective, Antena Los Ángeles, explore how cross-language work helps us reimagine and rearticulate the worlds we inhabit. The collectives’ residency will encourage the Hammer and its visitors to examine their relationships with language and multilingualism. They will work closely with the museum to investigate and foster capacity for language justice through multilingual programs, workshops for staff, and an on-site installation of the AntenaMóvil, a retrofitted Mexican cargo tricycle stocked with multilingual small-press publications and bilingual Libros Antena Books. Antena, a language justice and language experimentation collective, was founded in 2010 by Jen Hofer and John Pluecker, both writers, artists, literary translators, DIY bookmakers, and activist interpreters. Antena Los Ángeles, dedicated to local language justice organizing, was founded in 2014 by Hofer and Ana Paula Noguez Mercado, a lawyer, organizer-educator, and social justice interpreter. 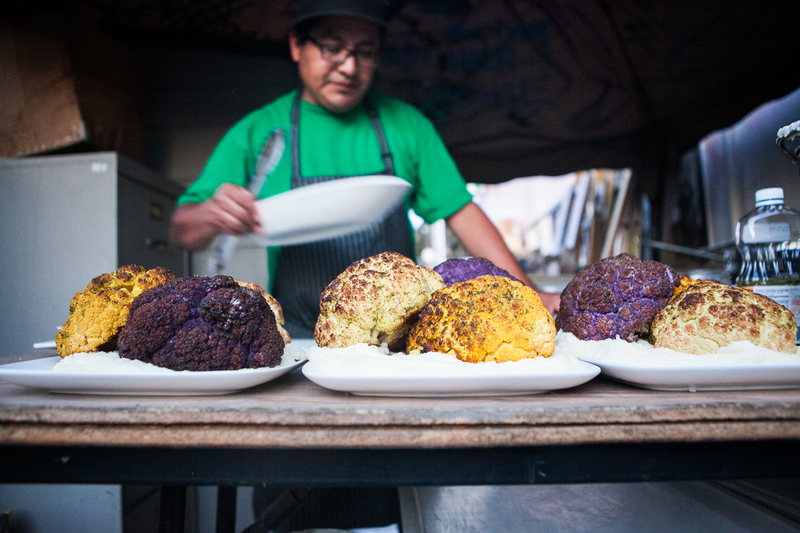 Cocina Abierta is a nomadic experimental “test kitchen” run by a collective of Los Angeles based artists and restaurant workers. Their practice provides a platform for engaging restaurant workers and consumers in dialogue about the realities of food labor. They organize food based interventions such as communal cookouts, DIY cooking shows, and recipe swaps in collaboration with diverse community groups. 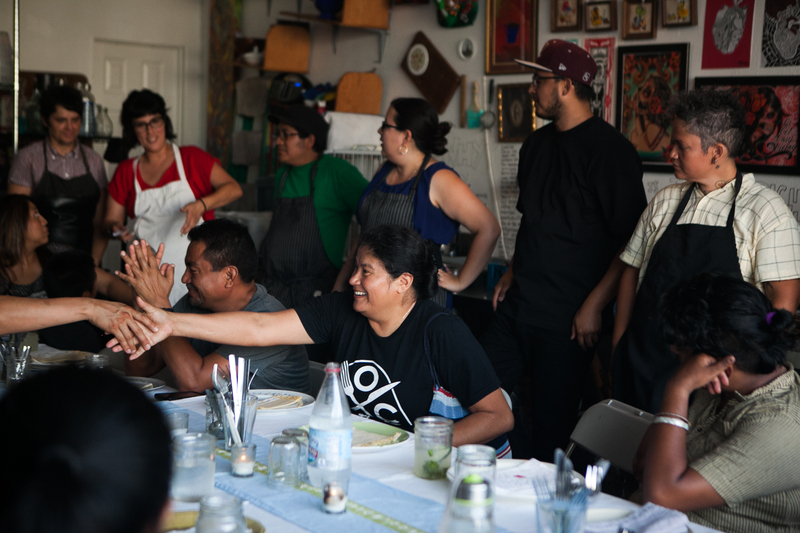 Through pedagogically driven engagements, the collective facilitates the exchange of immigrant histories, culinary skills, and base building strategies towards the development of a worker-centered philosophy to eating ethically. Established in 2011 by Cayetano Juárez and Christina Sánchez, the Cocina Abierta collective is additionally comprised of a rotating roster of designers, restaurant professionals, and community organizers. Cayetano is a professional cook with 15 years of experience. Christina is a politically engaged artist working in the public sphere. They are recipients of the inaugural SPArt award and are currently working on a food centered community project in Carson, CA that is supported by Los Angeles County Arts Commission. Their organizing work operates at the intersection of restaurant workers rights and housing rights; they are staunch defenders of the human right to housing and founding members of the newly formed Los Angeles Tenants Union. 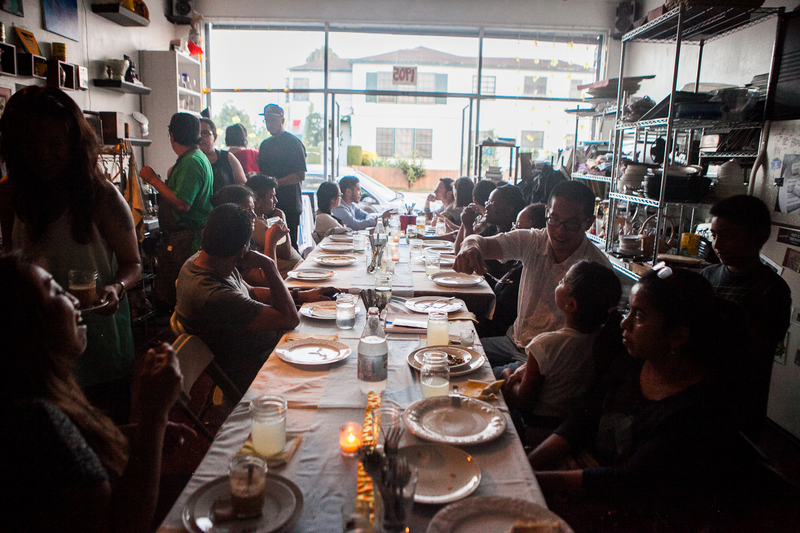 Restaurant Opportunities Center of Los Angeles (ROC­-LA) is a nonprofit worker center dedicated to improving wages and working conditions in LA County’s restaurant industry. ROC­-LA is a local affiliate of Restaurant Opportunities Centers United (ROC­United), a national restaurant workers’ organization that includes nearly 13,000 restaurant worker members, 100 employer partners, and several thousand consumer members in 32 localities nationwide, including staffed affiliates in New York, New Orleans, Southeast Michigan, Chicago, Miami, Los Angeles, Washington, DC, Philadelphia, the Bay Area, Houston, Boston, and Seattle. Over the last 12 years, ROC has won 17 workplace justice campaigns and over $8 million for restaurant workers; passed a statewide tipped worker minimum wage increase; opened two worker­-owned restaurants and restaurant job training centers in New York and Detroit called COLORS; and trained more than 5,000 low­-wage workers to advance to livable wage jobs in the industry. Over the past year, ROC-LA helped to pass the historic $15 minimum wage in LA City and County, including comprehensive enforcement against wage theft.